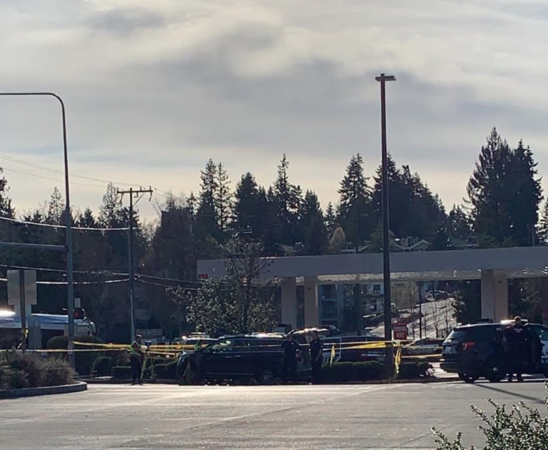 Around 4pm Friday afternoon, March 29, 2019 a vehicle ran into a pedestrian in the driveway entrance to Aurora Village from N 200th St by the Transit Center. The pedestrian was trapped under the vehicle. Bystanders ran to help as Shoreline Fire arrived and the man was freed within minutes. He was alert and aware as medics took him to the hospital. The driveway, part of the gas pumps and the Transit Center were closed for an hour, reopening at 5pm. See near misses all the time..Idiot drivers.